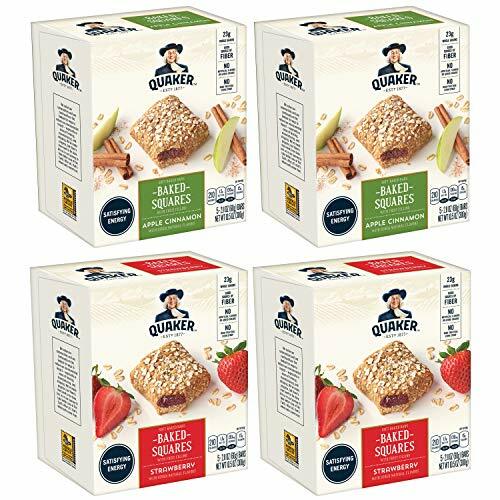 Amazon has the Quaker Baked Squares, Soft Baked Bars, Apple Cinnamon & Strawberry, 5 Bars (Pack of 8) marked down to $12.59. Clip the coupon and check out using Subscribe & Save to get this for only $9.44 with free shipping. No artificial flavors or high fructose corn syrup. A good source of fiber. GO HERE and clip the 20% off coupon. Then click on the “Subscribe & Save” option on the right side of the item page. Check out for $9.44 with free shipping. Once your order ships, go to “Your Account” and cancel any future shipments if you don’t need them. Don’t worry they will email you before they ship out the next order! New to Subscribe & Save? Learn more about it here!